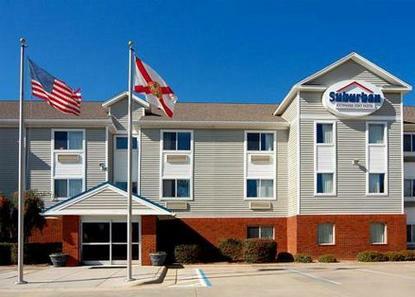 The Suburban Hotel is just what you need in Pensacola. Great central location to area attractions. Conveniently located near the Naval Aviation Museum, historical downtown Pensacola, Pensacola Civic Center, Pensacola Yacht Club, beautiful Pensacola Beach and Perdido Key. Pensacola Naval Air Station less than 1.5 miles. All rooms come with fully equipped kitchen. Great weekly (extended stay) rates. This hotel is Extended Stay and may have limited housekeeping service and office hours. Please call hotel directly for information.